List of Examinees: Bureau of Customs second pre-employment exam on September 28, 2014 - Balita Boss! 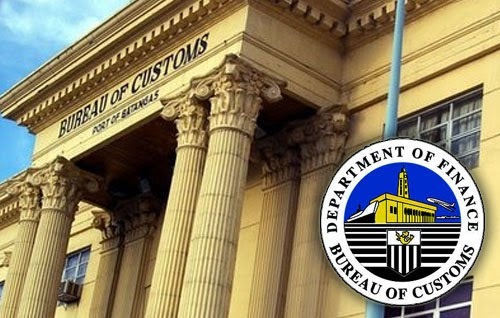 The Bureau of Customs (BOC) will hold another pre-employment exam this Sunday, September 28, at Angelicum College in Quezon City. A total of 239 applicants whose names were omitted in the list of qualified examinees and those who were unable to take the exam last August 31, 2014 due to valid reasons like illness, will be taking the exam. According to BOC, about 75% took the BOC General Aptitude Test last August 31 out of the total 4,757 applicants who had been qualified to take the exam, while another 20% did not show up. The exam will be administered by the Civil Service Commission. It includes analytical and deductive skills, reading comprehension, logical reasoning, problem-solving based basic mathematical notions and inference skills. Examinees must be at Angelicum College at least one hour before the time of the examination which will begin at exactly 7:00 a.m.
Angelicum College is located at 112 MJ Cuenco St. Biak-na Bato, Sto. Domingo, Quezon City. Results of the first and second batches of the BOC General Aptitude Test will be released by the BOC and CSC by the last week of October, 2014.